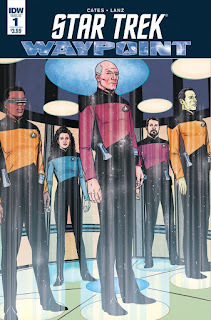 The Fellowship was fortunate enough to obtain a copy of STAR TREK: WAYPOINT #1 from IDW Publishing. Donny Cates and Sandra Lanz write, Mack Chater and Sandra Lanz draw, Jason Lewis and Dee Cunniffe color, and Andworld Designs letters. It’s slightly post-TNG, and Captain LaForge and his first officer Data have been sent to investigate an unidentified ship. The solution is a costly one, but it provides a possibility of hope. Also, in TOS time, Uhura is the victim of a transporter malfunction, and is stranded on a desert world alone to weather a storm. She quickly finds that she’s not alone, and she learns some things about life and the local flora and fauna. Waypoint is a bi-monthly book paying tribute to Trek’s 50th anniversary, and will contain original stories from all across the Trek timestream. These two stories are very much consistent with the characters involved, and with the vision of the two series they represent. And as the stories ring true, the art also represents Trek very well (not to play favorites, but the Uhura story especially). Trek fans will find a lot to like about this book, but I also think it would be a great way to introduce new readers to the phenomenon. I’m looking forward to seeing what else they show us. 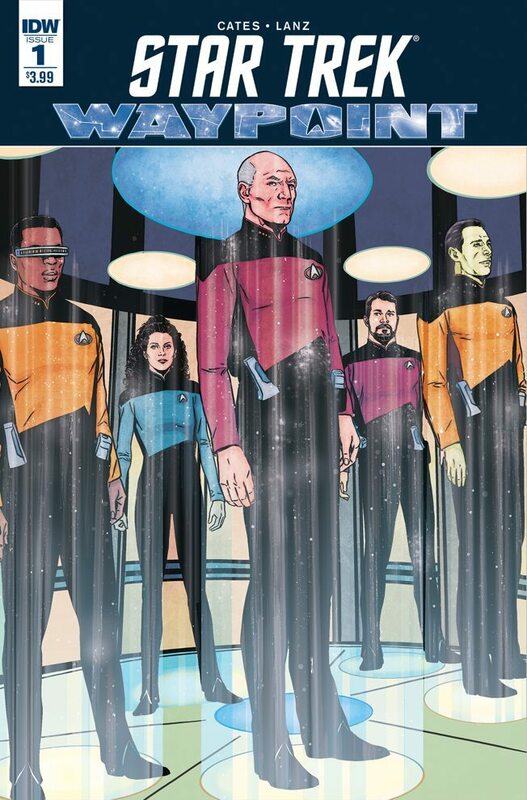 STAR TREK: WAYPOINT #1 is available now at your FLCS or at idwpublishing.com.